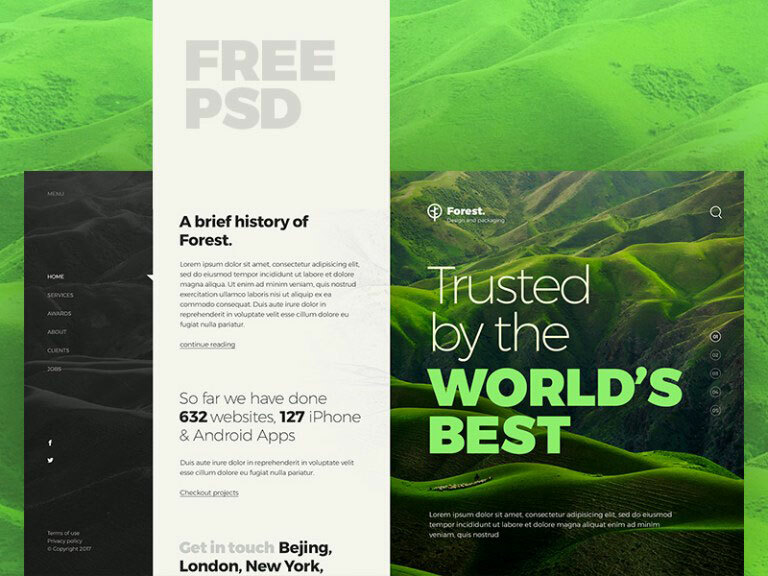 Here is free Eco Green Landing Page Template that created for help your web design work. It is landing page template that you can use for ecology and environment project. 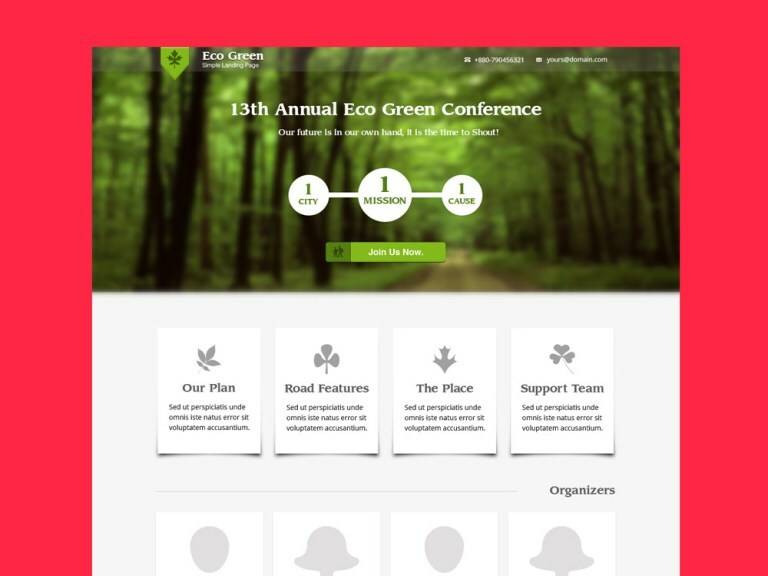 Here is free ecology website template that created by Rajesh Kumar. It is experimental web design that you can use for your commercial/personal project. The PSD template is fully prepared for development, converting to WordPress, Joomla, Drupal and any other CMS. FaoEnergy is free psd landing page template that will help you make your own web design. 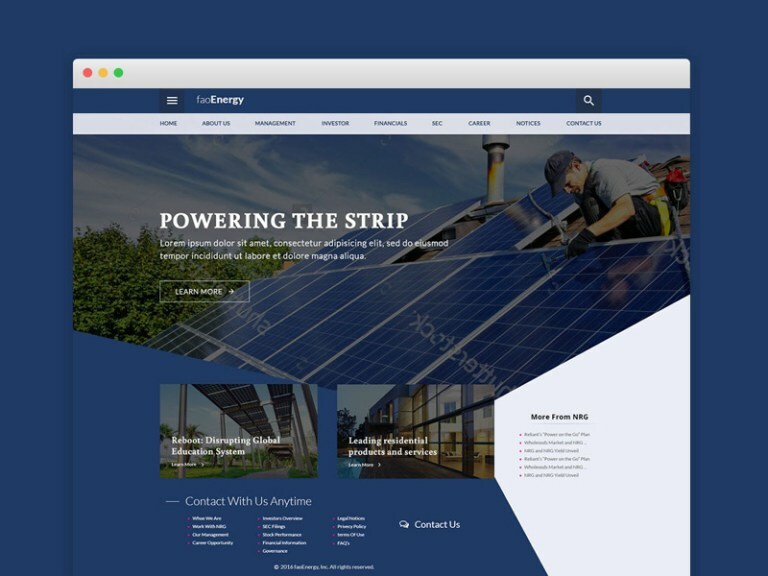 If you need a landing page for a energy related niche, this template is ideal for your goals. 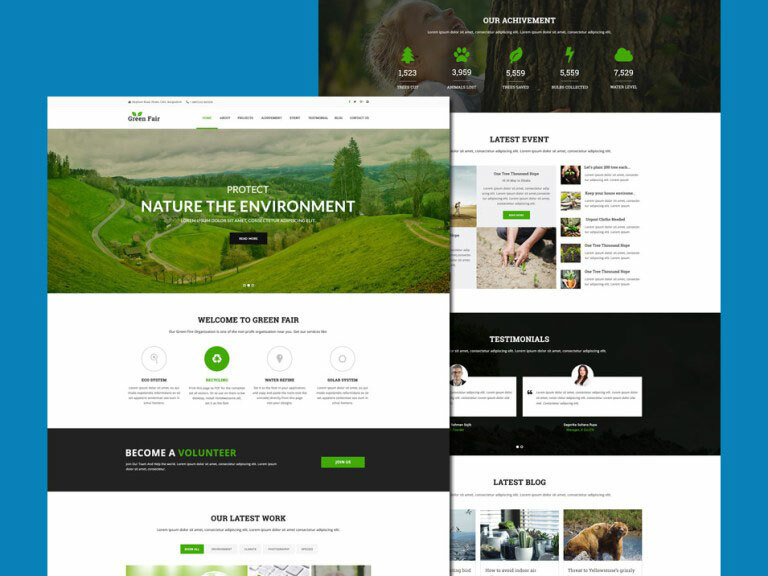 Here is free environment website template that made using PSD file format. It come with modern and clean design. Will be great choice for ecology and environment related website project. Here is a free non profit psd website template with clean and modern look. It is your ideal choice for for Charity, NGO, non-profit, social campaign, event donation, religion or a fundraising website.